Hair is the fastest growing tissue of the body, made up of proteins called keratins. Every strand of hair is made up of three layers: the inner layer or medulla (only present in thick hairs); the middle layer or cortex, which determines the strength, texture, and color of hair; and the cuticle, which protects the cortex. Hair grows from roots, which are enclosed in follicles. Below this is a layer of skin called the dermal papilla, which is fed by the bloodstream carrying nourishments vital to the growth of hair. Only the roots of hair are actually alive, while the visible part of hair is dead tissue, and therefore unable to heal itself. It is vital then to take care of the scalp and body in order to perpetuate hair growth and maintenance. Expensive treatments that claim to treat the visible hair and nourish it therefore are usually no more than bogus claims made to sell products. hair is actively growing, and of course this phase is longer for follicles in the scalp than anywhere else on your body, and lasts longer for women than men. It is natural for follicles to atrophy and hair to fall out, and this is called the catagen phase. This phase is only temporary, and eventually the follicle enters the telogen phase where it is resting. These are the 10% at rest mentioned above. Normal anagen phases last approximately five years, with catagen phases lasting about three weeks, and telogen phases lasting approximately 12 weeks. As you see it is natural to lose some hair. 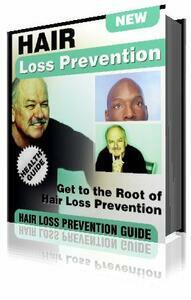 Natural hair loss is considered to be in the range of 100 hairs per day. It is not apparent to most people that hair is actually being lost until more than 50% of a person’s hair is actually lost.